For all levels of divers! Athos Scuba Diving Center organizes daily diving expeditions – single or repetitive dives with a surface interval on the island of Amouliani-Halkidiki-Greece – for all levels of scuba divers in the finest diving spots, in perfect sea conditions independent of weather, due to their geographic location. Access is very easy since divers gear up in our base, just 10 meters from the seashore and the boat. We follow all safety regulations; divers groups –maximum 6 divers – are determined by training level and are led by experienced instructors and Dive Masters who acquaint divers with the area and safety issues. Our primary concern is your entertainment and safety. Depths shift gradually from 4 meters (with a descending line in an ideal depth for rookies) up to 55 meters, while visibility is exceptional and water temperatures vary from 16 to 28 degrees Celsius depending on the time of year. In this place, located exactly in front of our centre, new divers get baptized and certified divers, wishing for a totally controlled dive with a maximum depth of 9 meters, refresh before they begin boat dives. We start at 1,5 meters until the enthusiastic novice feels ready and gradually descend. The place is artificially constructed and is called by many an aquarium! Countless grey mullets , octopuses, anemones as well as goldblotch groupers, annular seabreams,rainbaw wrasse and snappers follow us to feed them!! It is named after the frequent visits of amberjacks that approach us when hearing our bubbles. Named after a frequentvisitor and a friend, this dive site is not easily characterized. 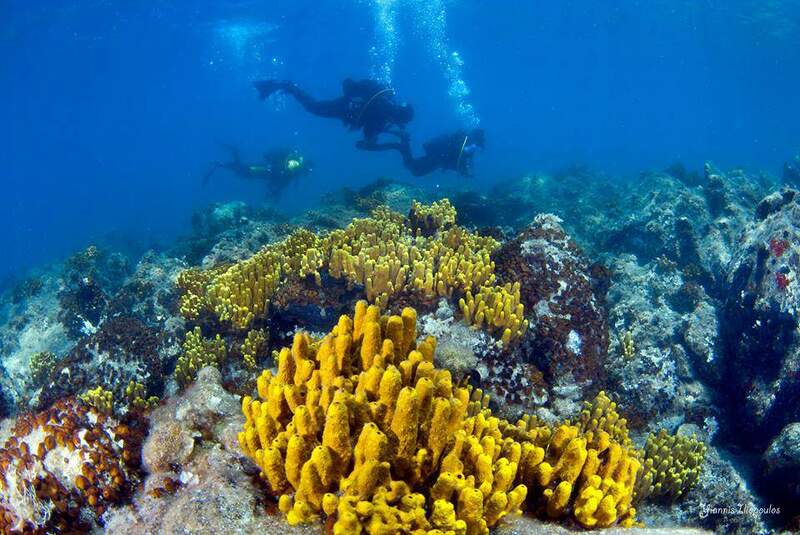 It has adramatic slope with holes and reefs that can provide a deep dive forexperienced divers looking for adventure. In addition it has a shallow plateauthat extends for hundreds of meters parallel to the shore with rocks and holesand surprises of all kinds. Located in the NW side of Amouliani, it is a diving spot for all scuba divers levels, with a waterbed starting at 3m that gradually reaches 40m. After entering water, we swim among crowded fish schools, and keep descending until astonishing rocks, shaped like horseshoes, make their appearance, covered in various sponges and minute life forms. The morphology of the waterbed gives us a sense of being on stage of an ancient theatre. Open sea fishes, groupers and snappers, the regular inhabitants, nod from afar, aware of our bubbles but still posing to be photographed. Octopuses camouflage, morays and congers stare, and if we descend to the last stage, lobsters and crayfishes will be waiting to be admired. 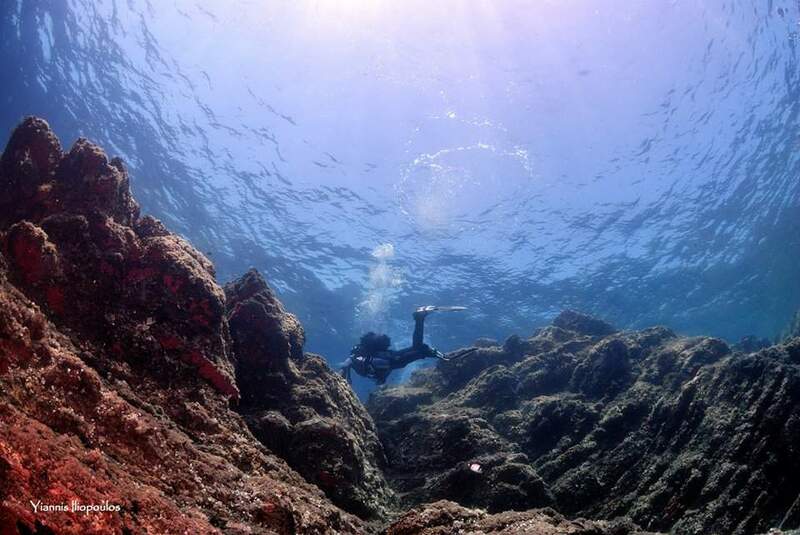 Located on the North West side of Amouliani, it is a diving site with perfect diving conditions almost always. The waterbed has a 40 grade declination and a maximum depth of 55 meters! Ideal for safe deep diving, bottom time begins in the shallows, with various swarms of all kind of marine life attracting divers attention; descending we follow a small rock which leads us to three consecutive petal shaped ledges in the deep. There await us many surprises! 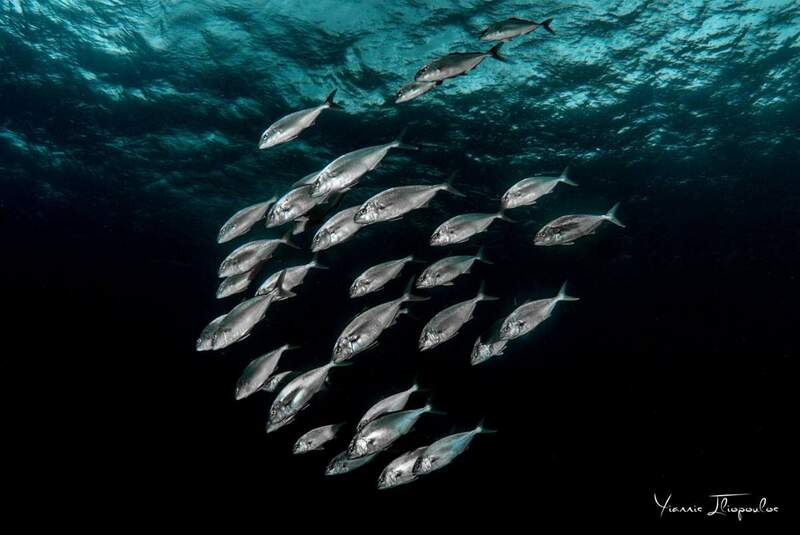 In the first edge, red meagres , snappers and groupers swim around us in their natural environment. We can stay there to let them approach us or proceed to the next ones, full of holes with no idea what lies within. Returning to shallower water, we discover dozens of nudibranches, sponges, starfish or seaslugs of various species. 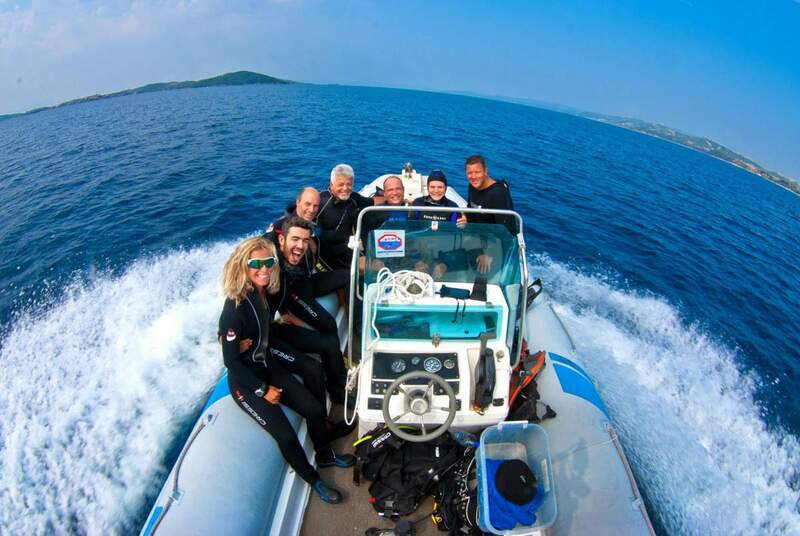 Petalo 2 is truly a very exciting diving site in Chalkidiki. The first island North East of Amouliani, it is quite a large place with alternative routes for all divers levels. The waterbed is ideal for multilevel dives up to 45 meters, the marine life is rich, impressive rocks dominate the place and with large walls, constitute a unique and exciting seascape. Diving in Posidon is a constant exploration, ideal also for night dives. A smaller island next to Posidon, its waterbeds morphology looks much alike, only steeper. Steps unfold, depth increases, as we stay admiring the seascape. Encounters with rays and wide sea fishes are often.Dias always has something new in stock for us. Catfish, flying fish and john dories could be anywhere around us. We drop the anchor at the starting place of 5 meters depth. It is a large site with passes between rocks of low gradient that reach 25 meters, at a point the waterbed drops down to 36 meters. Schools of breams, small fish but also morays and lobsters can be found deep. This location is well suited for a repetitive dive after a surface interval at Amoulianis beach of the same name. Twin rocks that surface and are visible in the horizon. Descending line at 7 meters, the maximum depth is 23 meters. It is a large place with rocks, holes and a cave with 2 entrances and enough room to accommodate comfortably the divers; it houses groupers and the usual suspects of the area. 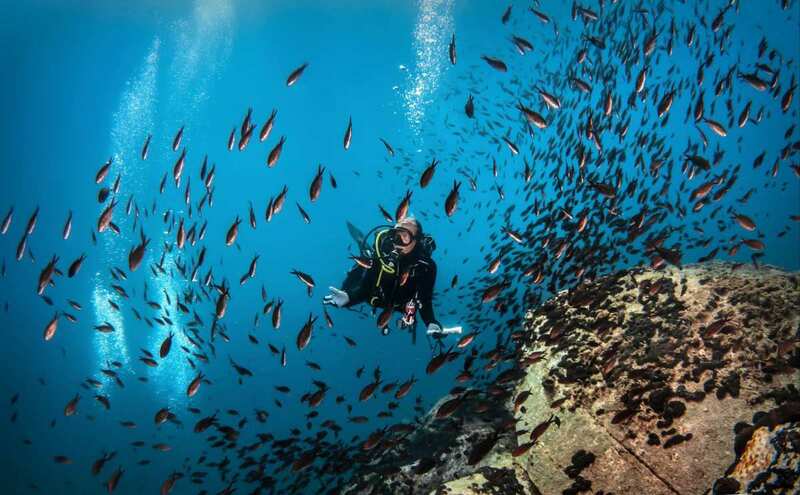 Oceanida Cool, relaxing dive for all diving levels with a maximum depth of 22 meters! Countless rocks with holes, channels and passes that house rich marine life. An impressive diving spot, a huge place (3 different dives) with multiple routes and a cave in the shallows, Lobsters is a fascinating diving location that impresses even the most demanding diver. Undersea rocks are the probably the larger in the island. The dive sets off at 5 meters and according to the divers level, we choose the suited route. Giant rocks that peak at 15 meters descend quite steeply down to 40 meters! Lobsters, crayfish, morays, octopuses, congers and swarms of breams comprise a marine life beyond description. It is a location ideally suited for relaxed repetitive dives. A vertical wall from the surface reaches 22 meters and has dense marine life. Schools of breams, goldblotch groupers and groupers usually constitute the subject of conversation when aboard! Drenia is a diving site North East of Amouliani, a favorite of most divers. A large concrete rock full of holes and orifices descends like a wall on our left as we dive. Scattered small rocks by its base lead us to the maximum depth of 23 meters where we reach another wall rock. In this beautiful environment, almost everywhere we look, we can spot octopuses in their nests, morays in various colors and sizes, cowfish, countless nudibranches, seashells and small fishes that accompany us in the shallows of every dive in Chalkidiki. A place that is ideally suited for night dives. We found this site quiterecently, exploring the south side of the Drenia islands. A complex of immersedgiant rocks form a network of channels creating a unique underwater landscape.One of the rocks, strangely spherical, can be found in 20 meters, full of holesand crevices hosting various marine life. Moray eels and octopuses fight eachother for territory in a fairy-tale forest of gorgonias while innocentnudibranches lead a serene life. 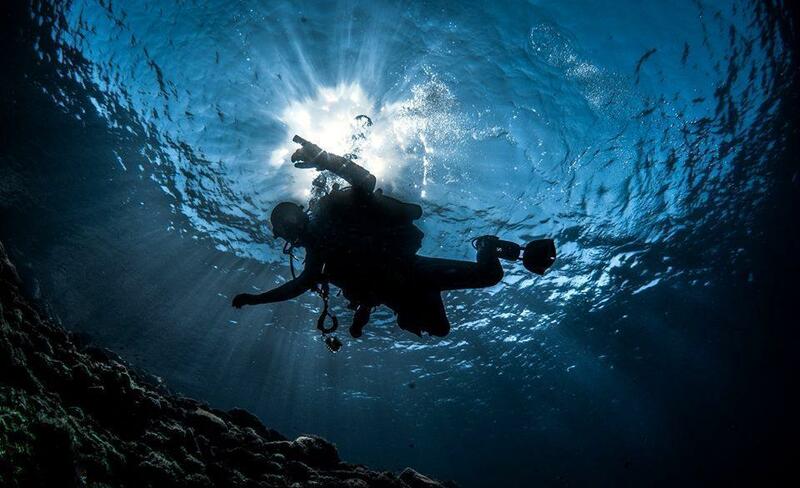 A recently discovered diving spot reaching a maximum depth of 25 meters. Characteristic of the location are rocks in bizarre shapes that resemble arches at 20 meters and ones that form tunnels in shallower waters. Marine life is rich, as usual in the area!! In the crystal clear waters near the picturesque Drenia and Amoulianis lighthouse, we find open sea rocks that peak in a depth of 6 meters and descend down to 36. We need 2 dives to explore them, combining many passes that resemble an underwater sierra in the middle of a plane. Alternative routes offer dense marine life that varies according to the time of year and weather conditions, as most open sea reefs.